Zaycon Foods recently had another pork event, once again bringing their delicious ham, which of course I ordered. But, this time, there was breakfast sausage instead of bacon. I’m just about out of bacon, but decided that we east breakfast sausage quite a bit as well, and it’s also something I can use in other dishes as well. The unit was 20 pounds, and came in 2 10 pound boxes, and came already frozen. My only complaint in the packaging was that the bag inside the box was not sealed, and I couldn’t repackage right away, so some got freezer burn. 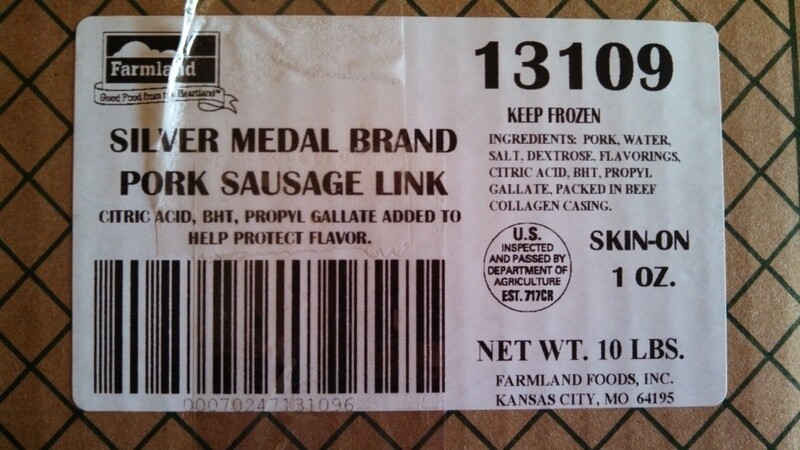 Each sausage link is 1 ounce, and in a casing. You can find more information on the sausages here. Also, here is a picture of the label on the side of the box. 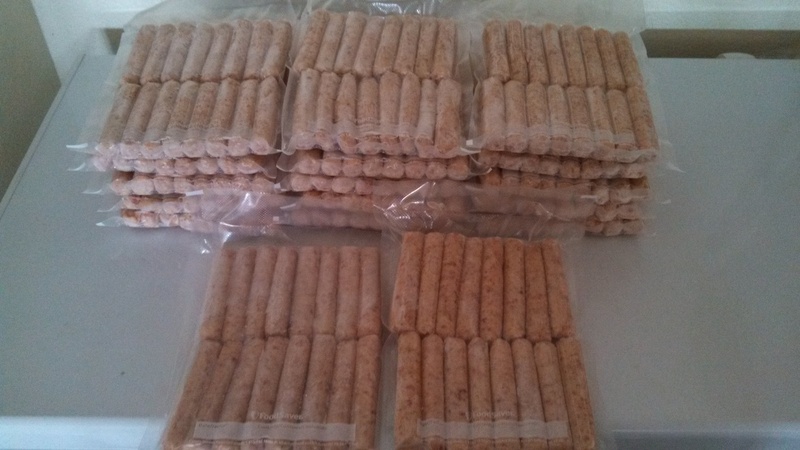 So, I counted out 16 sausages to put in bags to vacuum seal. I found that the pre-cut quart size FoodSaver bags were perfect for this. We have had this sausage a couple of times now. I used my electric griddle to cook it along with pancakes for breakfast. It turned out really well, was easy to cook and tastes good too!